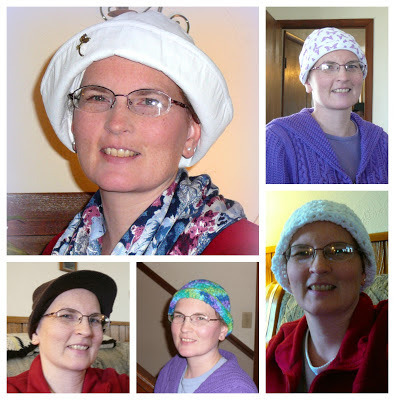 A week ago today, I underwent my second round of chemo treatment. It was the first time for me to be able to see and comprehend all that took place during treatment (due to my grogginess from the power port surgery on the same day as my first treatment). Things went well. My husband went with me to the appointment. We first had blood levels drawn, then waited to see the doctor. He said my blood counts look good, so we proceeded to the clinic for the treatment. The treatment itself took about 2 hours to be administered. David and I watched a DVD on our portable DVD player, and I remember dozing off a few times. After the treatment was over, I stood up and remember feeling a bit weak in the knees and light-headed. We asked the nurses what it could be from, and they said they had given me Ativan to pre-medicate for nausea. Ativan is also a relaxant. So, I am glad David went with me to the appointment, as it may have been hard for me to safely drive home. Wednesday morning, my fatigue was more intense, but I was still able to function. Worse than the fatigue was the heartburn I was experiencing. 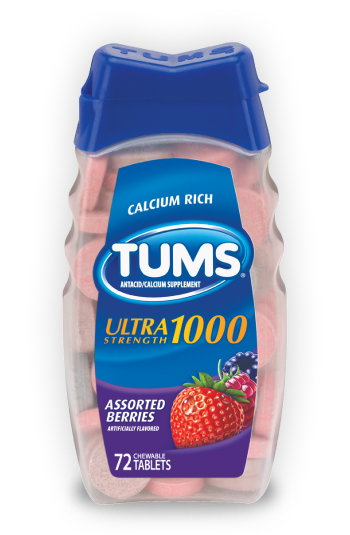 I will be sure to have some Tums on hand before the next treatment begins. Nausea has not been a huge issue, thankfully! For three days after treatment, I take two (and sometimes three) different medications to help control nausea. So, instead of being sick to my stomach, the meds have reduced it to where I experience only some queasiness off and on - just an uneasy type of feeling that reduces my appetite. Unfortunately, a side effect of the nausea meds is insomnia. Each night, I would go to bed at 11:00 p.m., then be wide awake at 3:00 a.m. and not able to get back to sleep. Thursday, Friday, and Saturday nights were the worst for this. SIDE NOTE: I am so grateful to our church family and friends who have provided meals for us during treatment weeks! What an awesome ministry! I may end up writing a post later on, specifically about meal ministries and how they are such a blessing to others. By Sunday morning, I was feeling good enough to get out and go to church; but, by that evening, I was having new symptoms of heart palpitations, weakness, and shakiness. I recognize some of my symptoms as the same as when I had hyperthyroid problems, so I called my doctor’s office on Monday and they drew blood work on me. This morning, the bloodwork showed my thyroid levels are fine. So, for some reason, the chemo is still affecting me this week in a way it did not affect me after the first round. I’m sure I will be discussing this with the doctor at next Tuesday’s appointment. I like the white hat you have in your Valentine's day picture with Dave. :-) But they are all cute. I'm sorry to hear about the insomnia, that is no fun at all. I'll keep praying for you. Thanks! I appreciate the encouragement and prayers. I don't like wearing hats either....at least you look cute in your hat options. I am hoping/praying this all goes quickly for you. I like hats now. I never did before. My dad lived in hats. I was going to shave my head to show support. Carolyn said my head looks shaved already. :D She said Vicky knows I support her.